Bakersfield Observed: More scams about town, the dismal lack of landscaping around the Westside Parkway, the quest for the best hamburger and will Aldi stores come to Bakersfield? More scams about town, the dismal lack of landscaping around the Westside Parkway, the quest for the best hamburger and will Aldi stores come to Bakersfield? knocked on her door and offered to mulch her garden, at a cost of $8 a bag. After they put five bags down, she agreed they could do the rest of her garden. "About 30 minutes later I come outside as they were finishing up and they had a pile of bags they 'used.' The guy counted the bags… 88 bags! At $8 a bag? I was furious. I told him, 'there is no way in hell you used that much.' We argued for a while, he was VERY pushy, and eventually I ended up writing him a check for $400. That was $400 I was NOT planning on spending that day. I also kind of got a little worried since now they know where I live so if I didn’t pay them anything, I was worried they would come back. I had a horrible feeling about the whole transaction, so I immediately called my bank and stopped the check. I went to go run some errands, still didn’t feel right, went home and checked my bank account online. The $30 stop check fee was posted, as was the $400 check to Ernesto Vides. But the check number wasn’t right. I went to my bank (Kern Schools Federal Credit Union). I was frustrated to tears at this point. Apparently, they went straight to the bank with my check at the same time I was calling to stop the check. They had altered the check number so that it went through. The manager at the Kern Schools on Coffee and Olive was so fantastic and worked so well with me, and I was able to get my money back. It was a horrible experience. And I’m usually pretty skeptical of people in general, and the fact that I went against my gut was the worst part." * ... WESTSIDE PARKWAY: Well that didn't take long. The landscaping of the (relatively) new Westside Parkway between Truxtun Avenue and Coffee Road is so full of weeds it now resembles Highway 58. * ... FOODIE: I was asked the other day what happened to my hunt for the best burger in town. Well, it's still on (why quit now?) 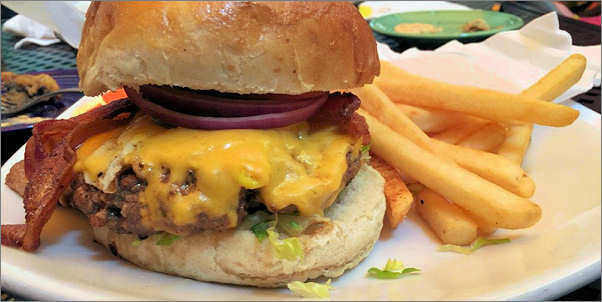 but if I were to decide today, it would be the Hudson burger at downtown's Muertos Kitchen and Lounge followed closely by the Sonny burger at Mexicali. * ... SPOTTED: I spotted this on Twitter: "Imagine being naked in a room full of people who speak a different language and everyone wants to touch you. That is the life of a dog." 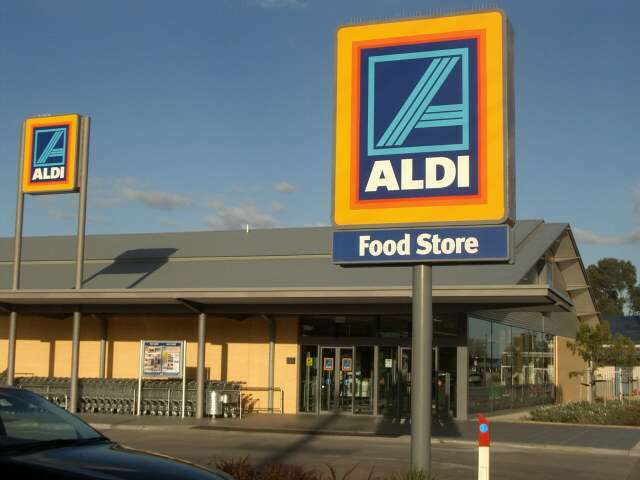 * ... ALDI: If you haven't heard of Aldi food stores, you will soon. The Los Angeles Times reports that the German-owned company plans 45 stores in Southern California. Aldi stores are about the same size as Fresh and Easy but are focused even more on deep discounts. You have to pay 25 cents for a shopping cart (you get the quarter back when you return it, which prevents thefts) and many of the specialty items are featured on palates on the floor to reduce stocking fees. No word yet on if Aldi is headed to Bakersfield, but sounds like a perfect fit for our market. * ... BAD FORM: I don't normally like to run anonymous comments, but this one from a "concerned citizen" is worthy of airing: "To the person that dropped off the light colored pitbull on Country Club Drive on the morning of Friday, June 5: Shame, shame on you. She was a new mom, and ran all over the neighborhood, probably looking for her puppies. She cried all night, and a neighbor had to call animal control to come and get her. She was probably euthanized. You probably kept the puppies to sell, and dumped the mom when you were finished using her for your benefit. I will pray that this sweet dog will haunt your memories every single day."